A very simple Sunday Pamper for me today consisting of only one product. Despite it being very sunny and nice out today, I've spent the day in the house cleaning, doing laundry and cooking my meals for next week so all I want to do tonight is have a long bath and read. 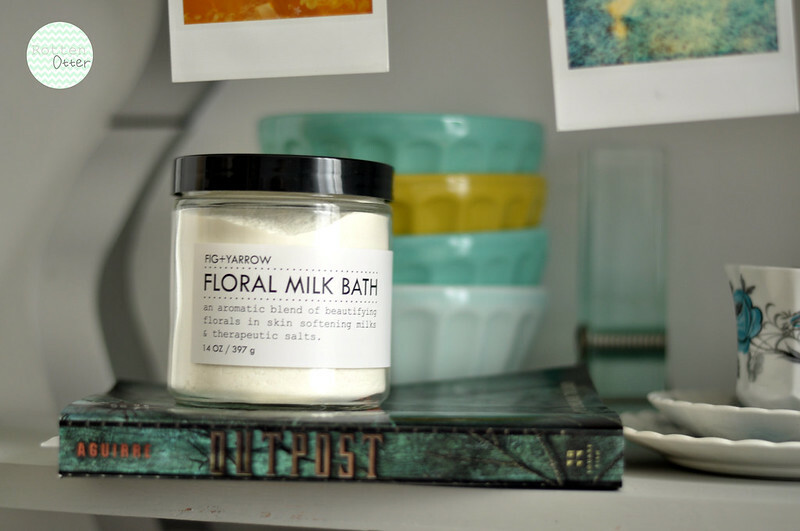 I bought this Floral Milk Bath from Fig + Yarrow at the end of December along with a lot of other bath and body products so it's only just being used for the first time. You simply scoop some of the powder, I use a mini wooden scoop from Ebay, into running water and it turns your bath milky which you'd expect. Since I haven't used it before I'll report back on how it works and if I like it or not in the next week or so. As I mentioned in my Week In Photos post earlier on in the day, I'm currently reading Output by Ann Aguirre and this will be the book I'll be reading while I'm in the bath. It's the second book in the Razorland trilogy and if you're a fan of dystopian novels and want a quick and easy read then I'd really recommend the series. What products are you using for your Sunday pamper? I'm gonna head into the bath now with a book and relax, I was too tired to pamper last night.